CUSTOM CRAFTED LEATHER PRODUCTS-GUARANTEED YOU'LL LOVE OUR QUALITY! 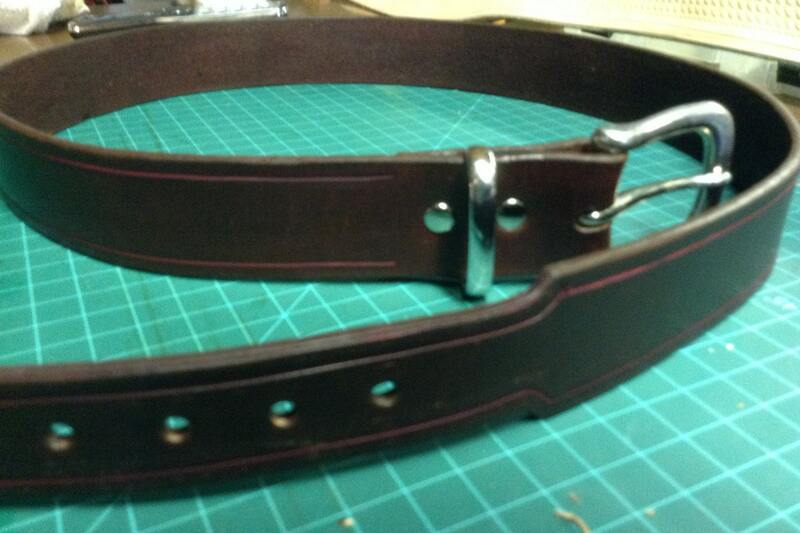 Leather Belt handcrafted to your size, tapered for dress belt from 1" - 1 1/2" width. Email if you have a preference, otherwise we will craft a 1 1/2" belt. Gold or Silver plated Buckle. To fulfill your order, you must provide me with certain information (which you authorized Etsy to provide to me), such as your name, email address, postal address, payment information, and the details of the product that you’re ordering. You may also choose to provide me with additional personal information (for a custom order for example) . I will not sell any of your information. Service providers. I engage certain trusted third parties to perform functions and provide services to my shop, such as delivery companies, usually USPS. I will share your personal information with these third parties, but only to the extent necessary to perform these services. Compliance with laws, I may collect, use, retain, and share your information if I have a good faith belief that it is reasonably necessary to: (a) respond to legal process or to government requests; (b) enforce my agreements, terms and policies; (c) prevent, investigate, and address fraud and other illegal activity, security, or technical issues; or (d) protect the rights, property, and safety of my customers, or others. Access. You may have the right to access and receive a copy of the personal information I hold about you by contacting me. *If a customer contacts me to access, correct or delete personal information held by Etsy, I will contact Etsy at Etsy.com/help for assistance, or request that the customer send a request directly to Etsy.